Last summer, when the NHL announced it would expand its usual slate of outdoor games from one (sometimes two if there is one in Canada) to six, the internet lit up with the usual “Gary Bettman doesn't know what he's doing” rhetoric. The general consensus was, with the Winter Classic, the NHL finally found an avenue into the pulse of mainstream America with an annual event (in a prime television spot) that garners media attention from American media personnel whose interest is only piqued when benches clear and bloody eyes are to be had. I'd be willing to bet the name John Tortorella is the only hockey name programmed to pre-fill on most of these peoples' computers—but that is an argument for another article. And now in either an attempt to grab a quick buck, or not knowing to quit while ahead (or both), the NHL was going to erode the mystique of the event by over-saturating the market with it. It looked as though Bettman was going to kill the Golden Goose by asking too much of it. And I'll admit when I heard “six” I thought it was ridiculous. There wasn't even a ramp up. Surely sextupling the event in one year would completely destroy what makes it special. Beyond that, I didn't think much of it. The Pittsburgh Pirates were actually in a legitimate pennant race and the puck would soon drop on the regular season. Other than debating if I should fork over a couple hundred dollars to make the trip to Chicago to see the Pens-Hawks game in March, outdoor hockey was not on my mind. 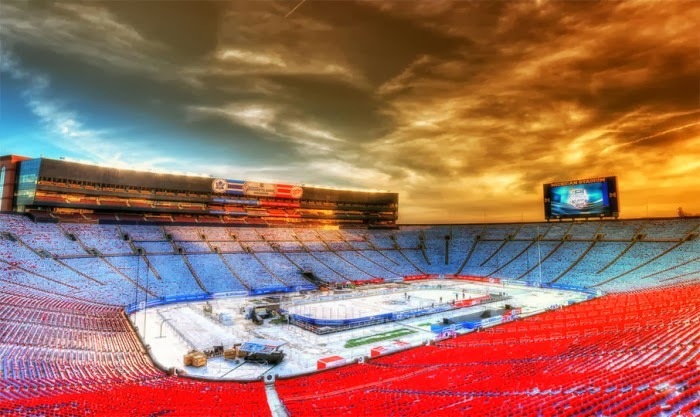 Then, when we hit 2014, the Winter Classic was fantastic as always. The Red Wings and Maple Leafs, dressed in incredible retro-looking jerseys, played a magnificent game on a dreary, snowy Michigan afternoon that was the reason high definition television was invented. A few weeks later, late on a Saturday night, the Ducks and Kings would face off at Dodger Stadium in the first of the superfluous outdoor games. I decided to watch a little of it, just to see what it was all about. Aside from Jeremy Roenick hamming it up with KISS (the mere fact that I have to type that.....) and a few of the goofy extras (like the beach volleyball court on the field), the event seemed to be a huge success. Vin Scully and Wayne Gretzky helped M.C. the event, adding instant credibility to the event. * Reviews were great and television ratings were exceptional for a 10 pm left coast hockey telecast. The next day, the Rangers played the first of two outdoor games in a week at Yankee Stadium. Both of those games also did pretty well, albeit with less fanfare. So, maybe there is a way for multiple outdoor games to be successful. What better way to welcome the league back after a long Olympic Break than with two of the premiere teams (Pens and Blackhawks), featuring no less than ten of the most elite players in action today, in nationally televised action at Soldier Field? It actually seems like pretty good idea now. And it seems right to have a third (following 2003 and 2011) Canadian Heritage Classic game amongst the frenzy of games. Hockey is obviously huge in Canada, people will support anything relating to the sport, fans want to go to the outdoor games, but there will never be a Winter Classic featuring two teams from hockey's homeland. That would defeat the purpose of using the game to build an American audience. So, while I have come to the conclusion that a multiple outdoor formula can work, the NHL should approach the situation carefully. The Winter Classic and Heritage Classic need to be special. 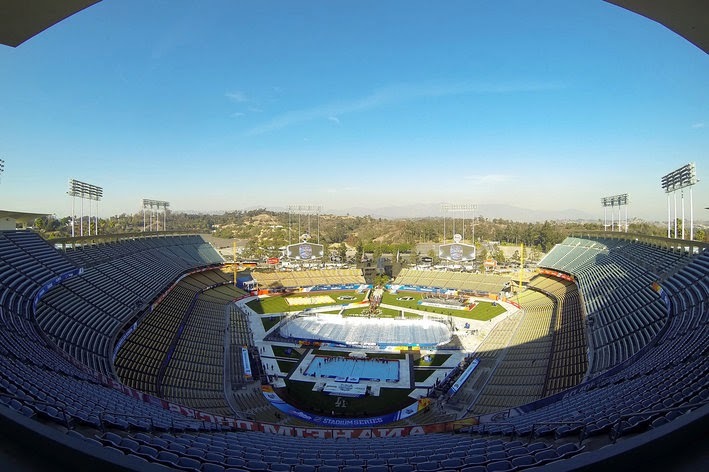 Superstar anthem singers, single use alternate / throwback uniforms, rock bands and all the extra fanfare should really be saved for the premiere outdoor games. And it probably would be best to not have a set number of games to fill a “paint by numbers” type of feel. Next year will be a more typical regular season, with no Olympic layoff or anything. Maybe they can cut the number down while still having a few. In 2018, maybe in addition to the Classics, have one game each at the beginning and end of the Olympics. This could work if it is handled right. * I feel I should add, I think Vin Scully is one of the coolest guys on the planet. In the summer, I find myself watching lots of MLB Network late in the evening because they always cut into Dodger games and, at 80+ years young, that man can still paint a picture with his words.